Welcome! If you want your middle and high school students to create their own virtual reality then you have come to the right place. The units are at about a mid range level of difficulty but I have had beginner users create virtual reality with the support of an advanced peer. These lessons below were successfully implemented in 6th, 7th, and 8th grade classrooms during the 2016-2017 and 2017-2018 school years. This tutorial was created in order to teach other students in the class how to create virtual reality. The student created this tutorial as part of a language arts module on informative writing. The following models were created in TinkerCAD and SketchUp before being published in SketchFab. 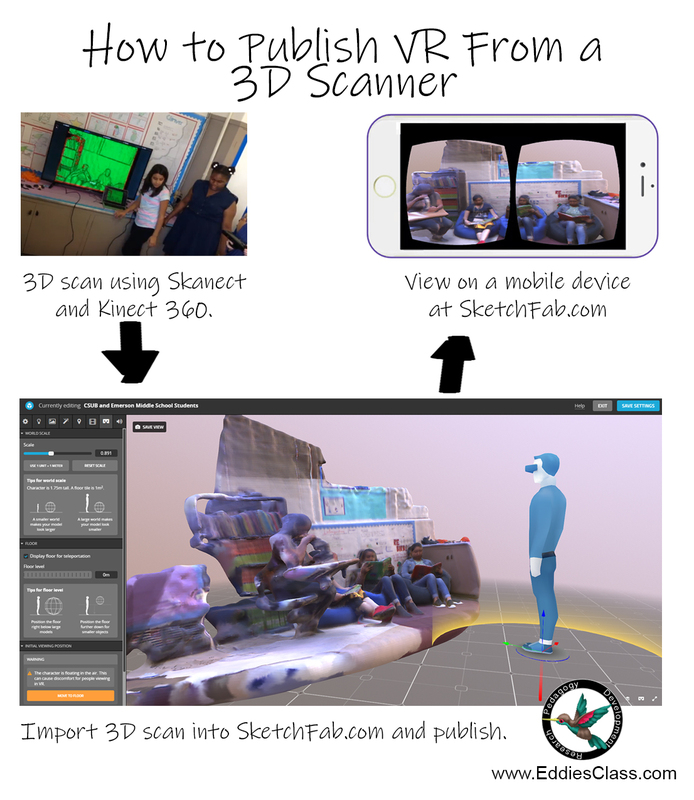 The following 3D scans were created using the XBox 360 Kinect and published into SketchFab via Skanect. The work shared in this workshop has been published through CUE.org, SketchFab.com, and my own blog. Thank you to those who attended the workshop! It was fantastic being able to share and collaborate. Please remember that this presentation comes with lifetime tech support, so don’t be a stranger!